While a massive new HD remaster bundle would have been preferable, SNK and Sony have teamed up to bring the entire Metal Slug series to the PlayStation 4. The bundle comes to us this Tuesday in the form of the Metal Slug Anthology collection as a PlayStation 2 classic. This anthology collection contains Metal Slug, Metal Slug 2, Metal Slug X, Metal Slug 3, Metal Slug 4, Metal Slug 5, and Metal Slug 6, nearly every major entry in the franchise. Only Metal Slug 7 is not included for the reason of it not yet existing when this package originally launched in 2007. Metal Slug Anthology also came to the PSP and Wii as a launch title, if you need a time reference. 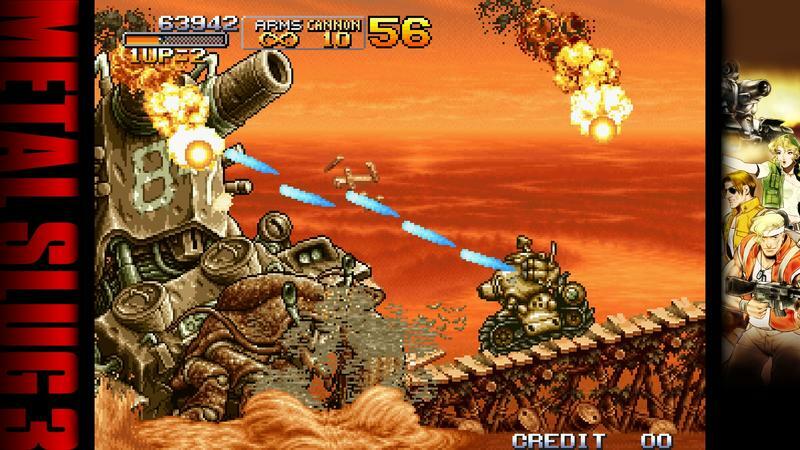 The Metal Slug series is a run 'n gun franchise in the vein of classics like Contra. The main difference is that SNK opted to include sprites with an absurd amount of detail and color, making each entry a beautiful game overflowing with personality, but at the same time, a very large game that could barely fit on cartridges at the time. Nowadays, emulating and remastering them is no problem, and fans of brutal old-school action games should definitely check them out. In many ways, they have a huge inspiration on the big character sprites used in pixelated indie games today. And man, Fio is still so cute. Metal Slug Anthology will launch on Tuesday for the PlayStation 4.